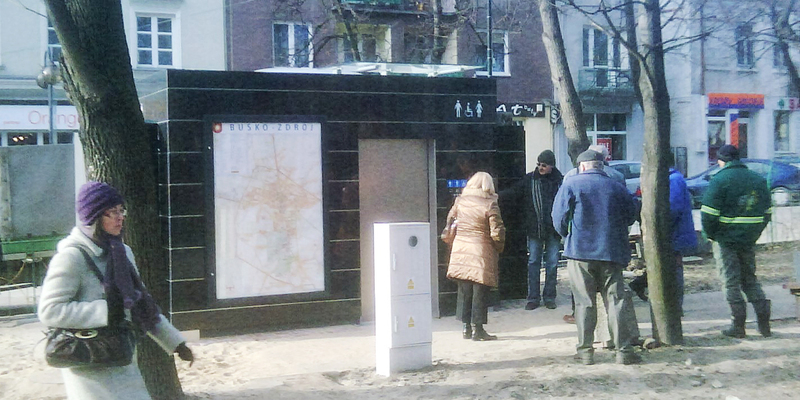 BUSKO (Poland): installation of TMAX self-cleaning toilets. 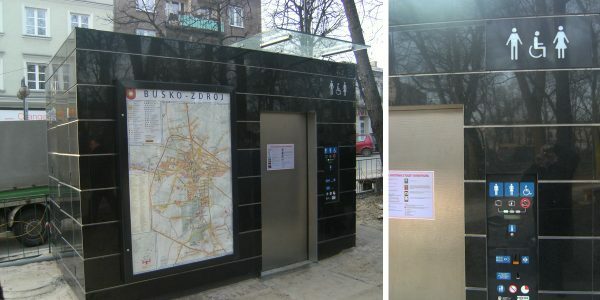 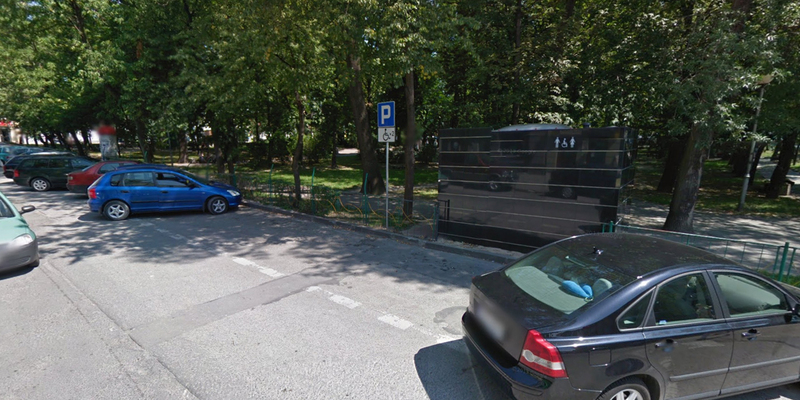 In 2010, the Municipality of Busko commissioned the installation of an automatic public toilet, characterized by a particoular external cladding with black tiles and an advertising panel near the entrance door. 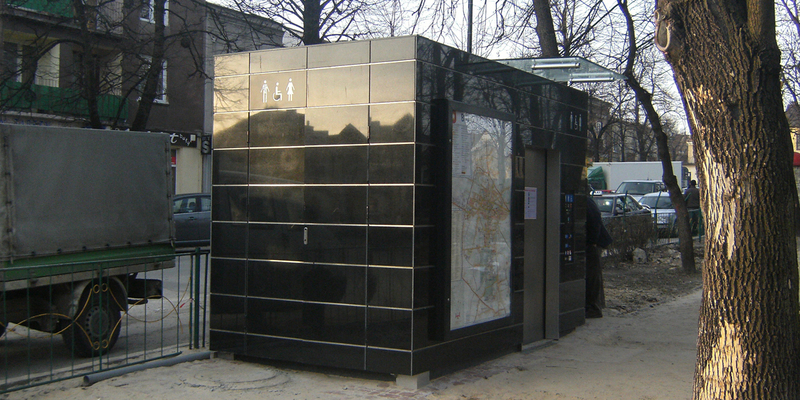 The toilet was built with a specific attention to all insulation problems.